HOUSTON – Channel 2 Investigates has uncovered a scheme perpetrated by publicly funded employees of Cypress Creek EMS that nets them extra cash while on the clock. These employees collect paychecks funded by property tax dollars, and use equipment intended to fix ambulances. Cypress Creek EMS will receive more than $15 million in property tax dollars this year, but also generates its own revenue through ambulance service billing, which is expected to be about $13 million in 2019. Over several days in December and January, Channel 2 Investigates witnessed a series of non-fleet vehicles being serviced inside the bays of the Cypress Creek EMS garage. Invoices obtained by Channel 2 show that thousands of dollars in parts were purchased for non-fleet vehicles on the Cypress Creek EMS account. Some of those parts were paid for in cash, some of them were charged to one or more credit cards. It is unclear who foots the bill for those credit cards, but the purchasing account tracks back to Cypress Creek EMS. A KPRC2 employee was able to have front brakes put on his car at the garage for a cost of $105. Maintenance manager, Tony Ghourley, a CCEMS administrator, would only accept cash for the job. The transaction was caught on camera. Ghourley would not answer questions about the transaction when queried later by Channel 2 Investigates. Cypress Creek EMS executive director, Bradley England, declined an on-camera interview request about the matter. “Thanks for bringing this matter to our attention. CCEMS is conducting a thorough investigation and will take appropriate action,” England’s statement read. Cypress Creek EMS is essentially a vendor, contracted by an overseeing agency that collects, doles out, and supposedly monitors how the public funds are spent. Harris County Emergency Services District No. 11 is charged with this task in the area served by Cypress Creek EMS. “There’s definitely questions that need to be answered,” Kevin Brost, ESD11 board member said. Brost said the latest revelation is among a list of serious issues with Cypress Creek EMS over the last several years. 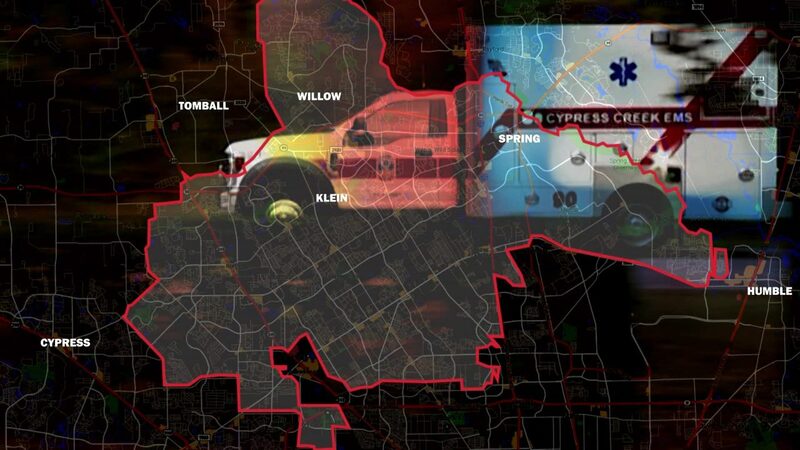 “For the greater part of five years, the FBI, the IRS and U.S. Attorney General’s office have been looking into Cypress Creek EMS,” Brost said. ESD 11’s attorney also sent a typed response, stating the newest matter, uncovered by Channel 2, would be further investigated by ESD11. Late last year ESD11 commissioned a third-party forensic audit of Cypress Creek EMS. That auditor found administrators with Cypress Creek EMS relatively uncooperative during the process, as outlined in an executive summary. The forensic audit also concluded that CCEMS used accounting practices designed to siphon maximum property tax dollars from ESD11, essentially overcharging tax payers. The entire audit, obtained by Channel 2, is below. You can also click here to view it.